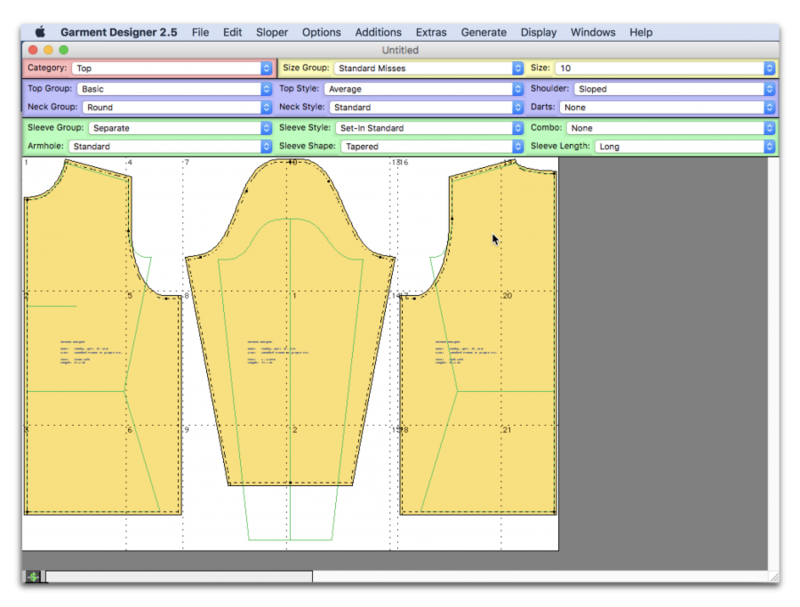 Garment Designer Features reviews basic functions and categories options in Cochenille’s pattern making and knit design software. 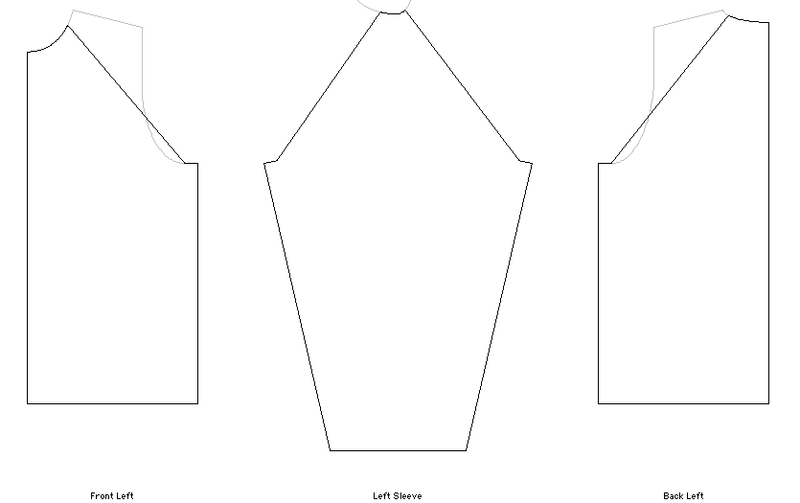 Print your patterns from a Home Printer! 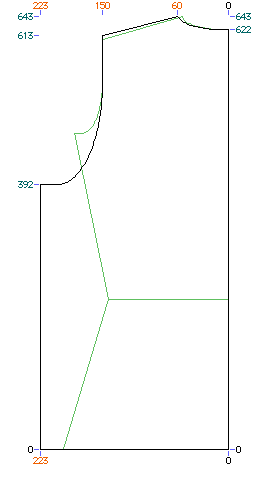 Simply match up crossmarks and pages of the tiled pattern and tape or glue together. 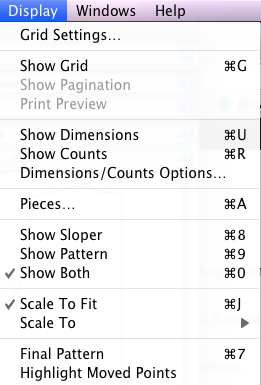 Page Size can be customized in 'Page Layout'. 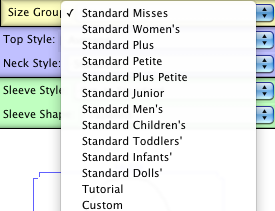 A full library of standard sizes based on ready-to-wear sizing, including infants, toddlers, children, juniors, petites, misses, women’s, plus sizes, men’s, and even dolls. 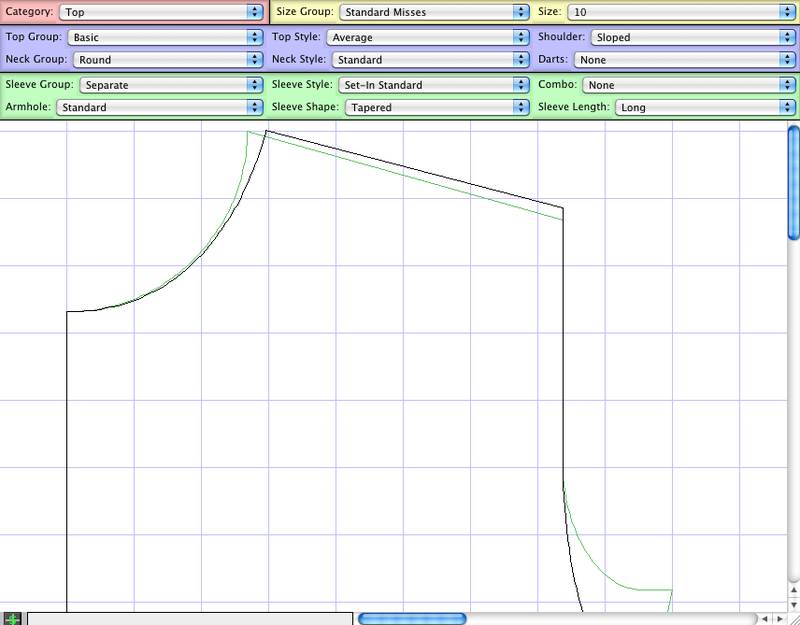 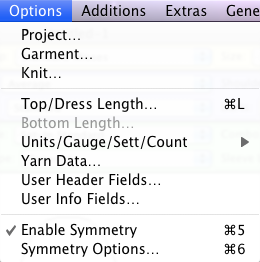 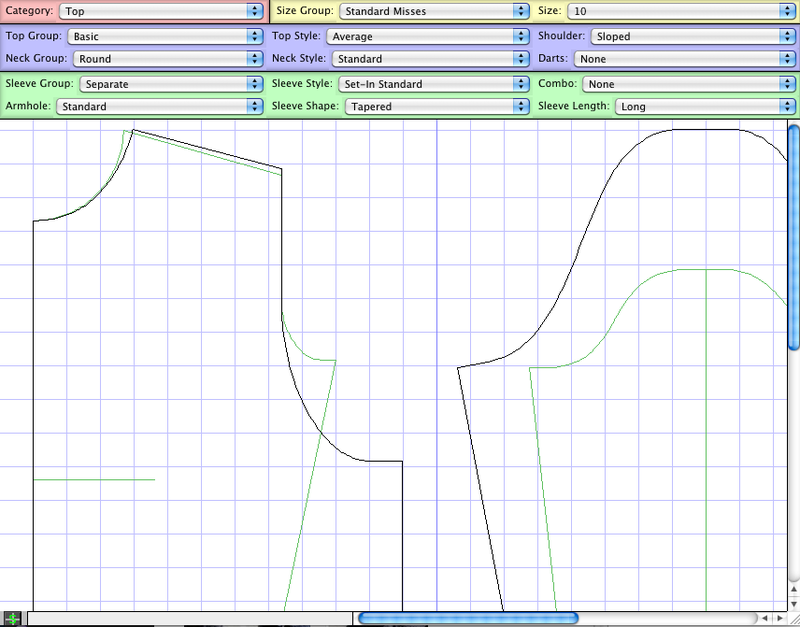 Add finishing items such as facings, bands, extensions, hems, and seam allowances to your pattern. 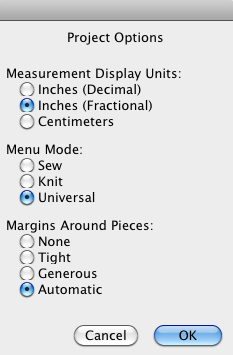 Scale your pattern through the "Display" menu by choosing "Scale to" and "1/4 Scale"
Scale your pattern through the "Display" menu by choosing "Scale to" and "Actual Size"
The option to input your own custom measurements with a choice of Simple-Fit (12 measurements) or Refined-Fit (up to 36 measurements). 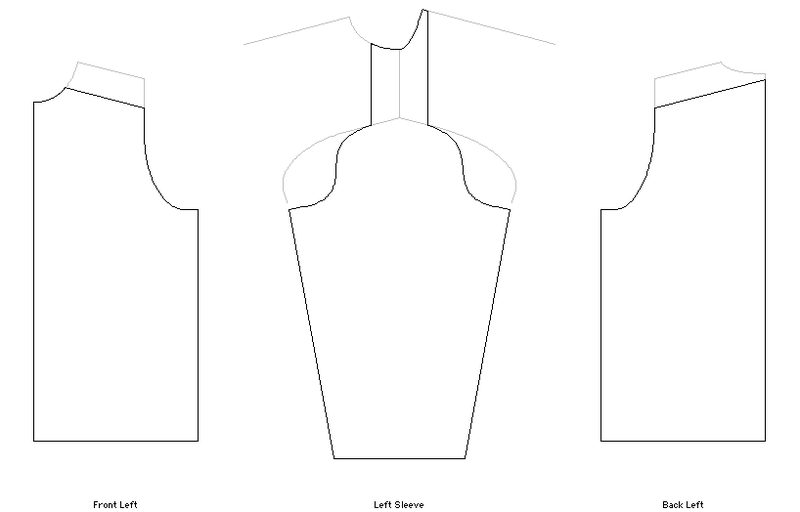 View a sloper of your body shape sitting inside the pattern you will create. 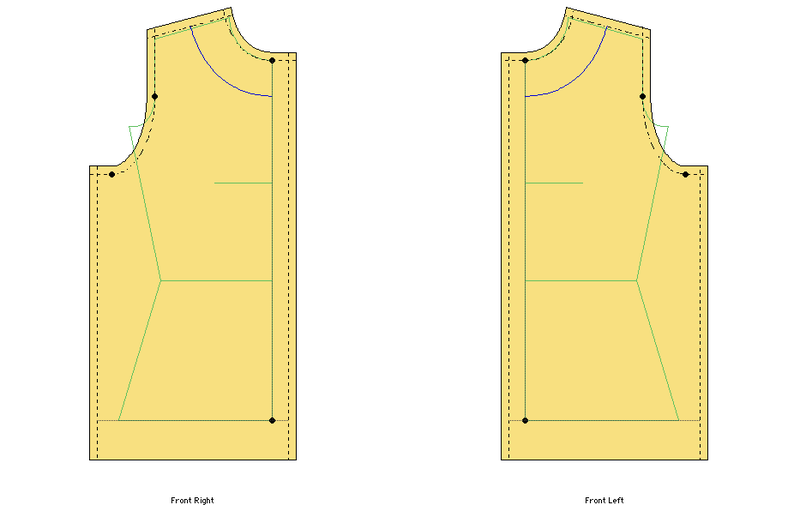 Garment options for tops, dresses, skirts and pants. 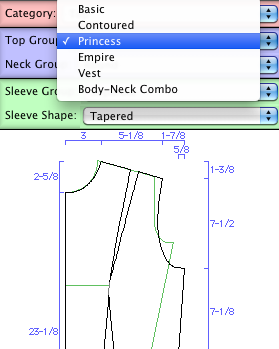 Build a garment visually by choosing from a variety of style details for garment shapes, necklines, armholes, sleeve styles, etc. 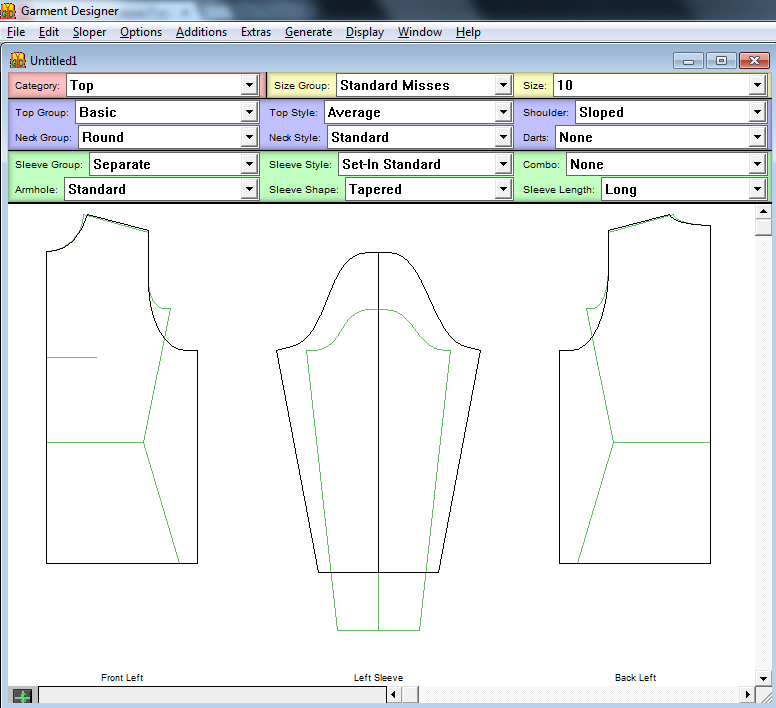 Utilize a grid so that you may see the ease allowances provided in the garment. 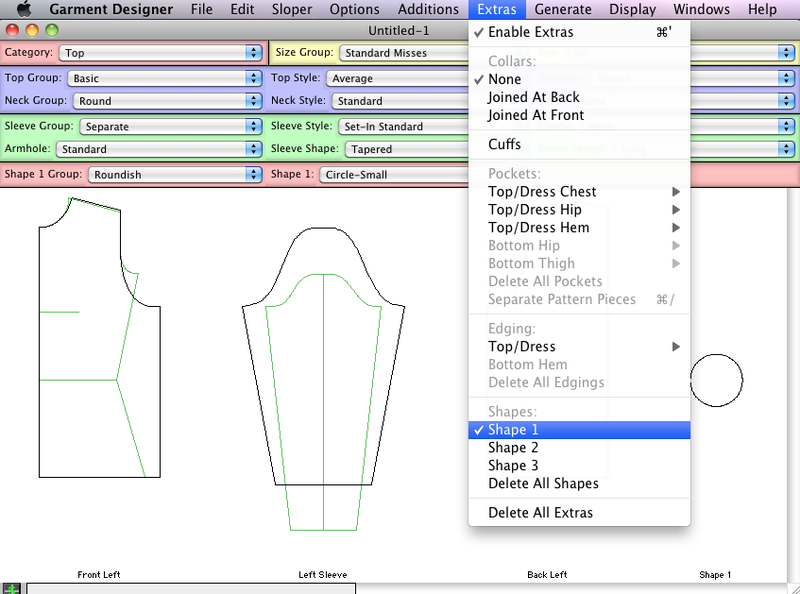 Add extras such as collars, hoods, pockets, bands, ruffles, cuffs, and other garment-defining pieces to stylize your garment. 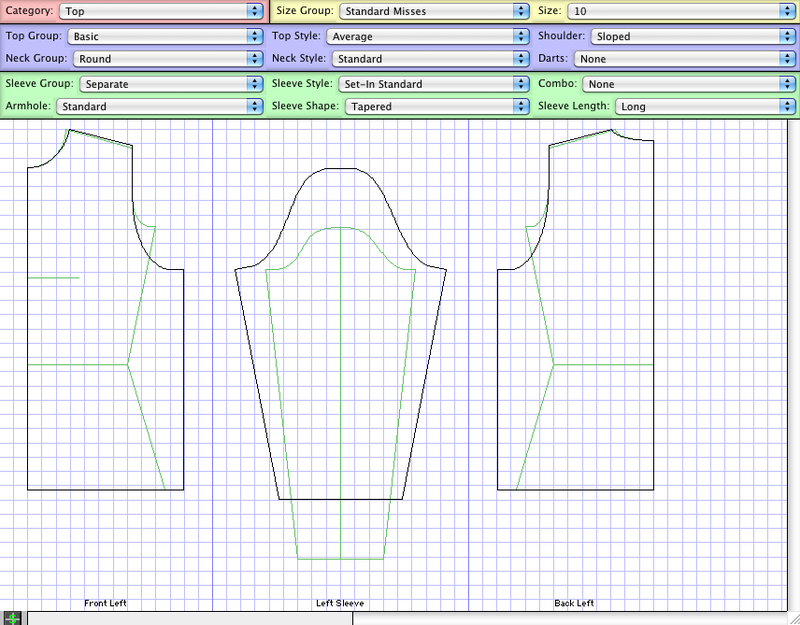 Improved fit with princess styles and darts (bodice side or body darts, waist darts for skirts and pants). 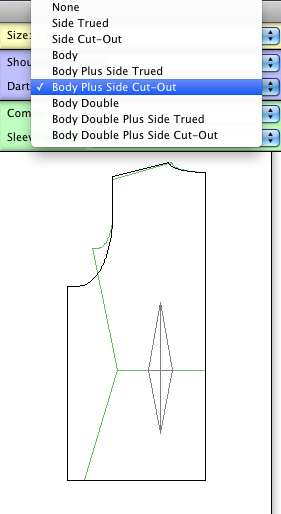 Employ Generic Shapes for your creative use. 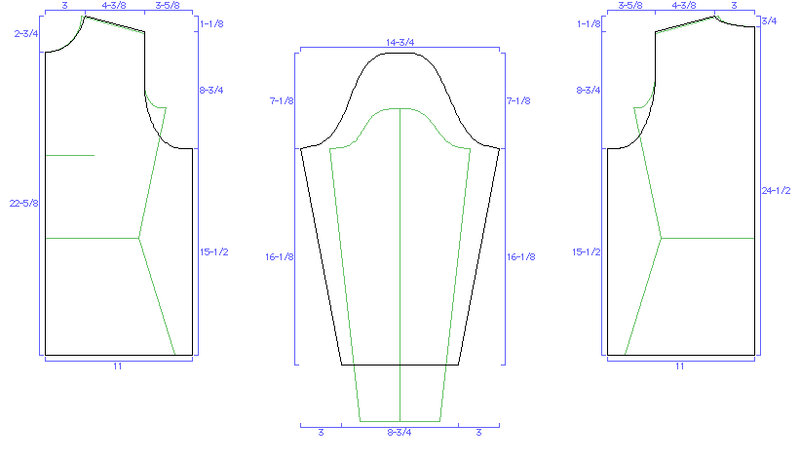 Choose from an assortment of ’roundish’, ‘squarish’, or ‘triangular’ shapes. 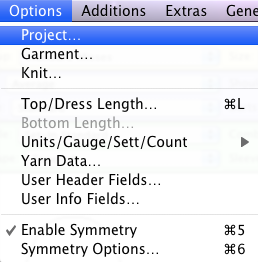 Work in metric or inches and switch back and forth. 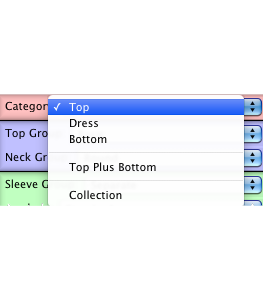 Customize the styling by clicking and dragging on garment points. 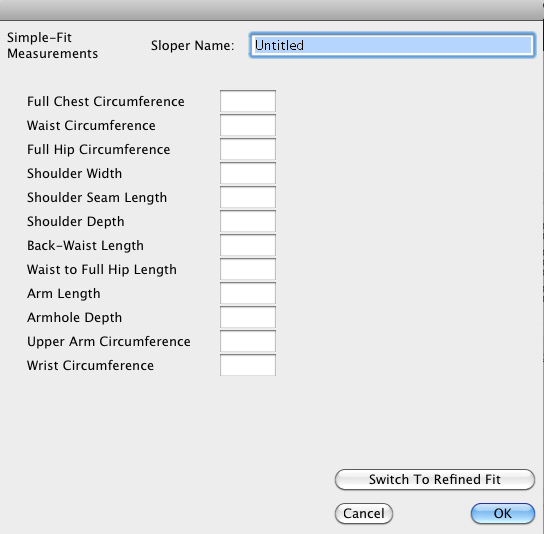 Control the shape of your curves. 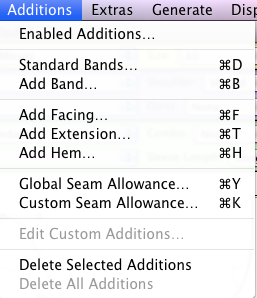 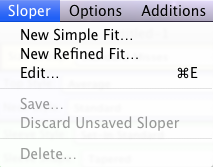 Set defaults of your preferred settings. 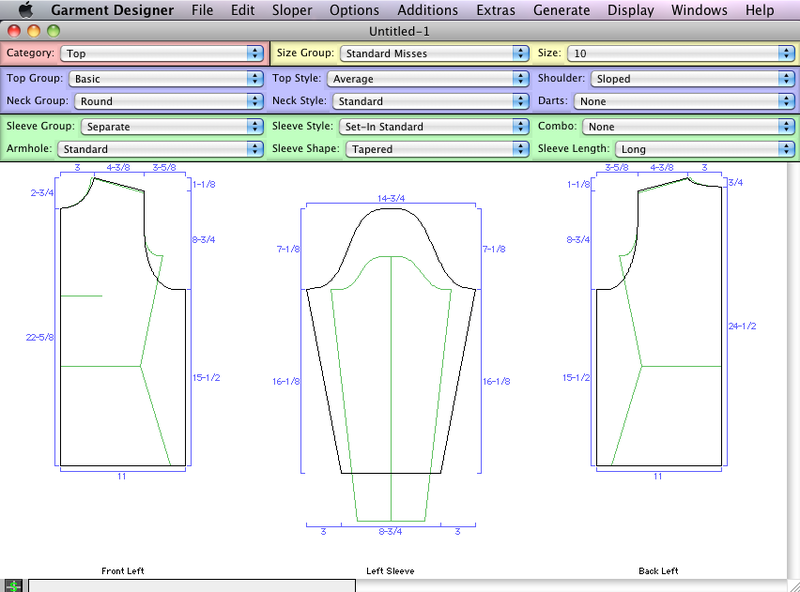 Display garment dimensions for each garment piece, as you work, or for your printouts. 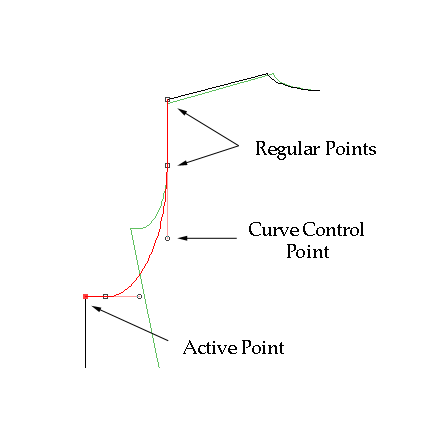 Use cumulative or point-to-point mode. 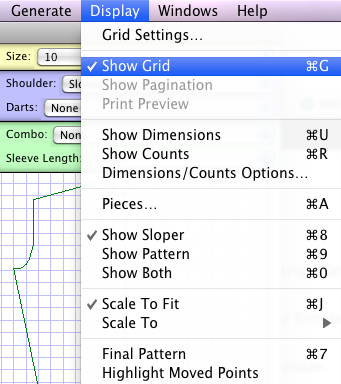 View the pattern in various scales ranging from screen to full-scale. 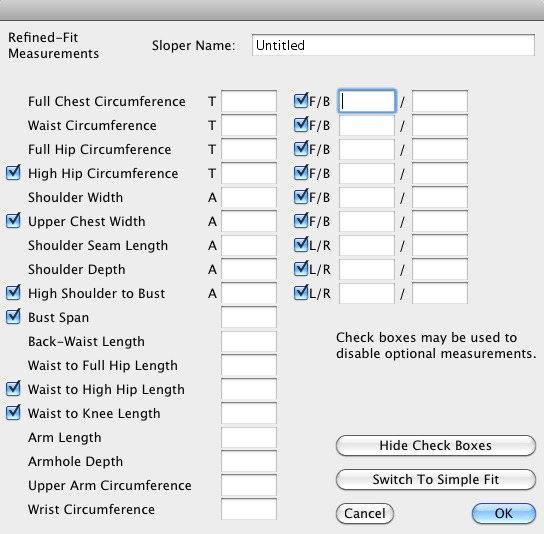 Knitters, Weavers and Stitchers may choose to input their gauge/sett/count and request shaping instructions for standard, sideways, top-down, and diagonal shaping. 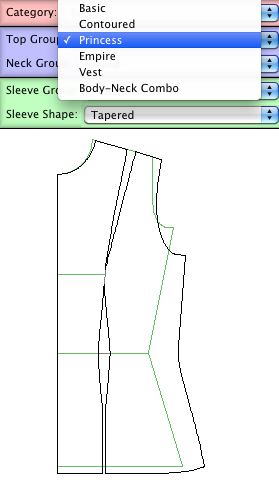 Generate shaping instructions in a row by row summary. 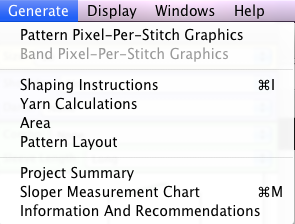 Create a pixel-per-stitch graphic to take to Stitch Painter and other paint programs for design purposes. 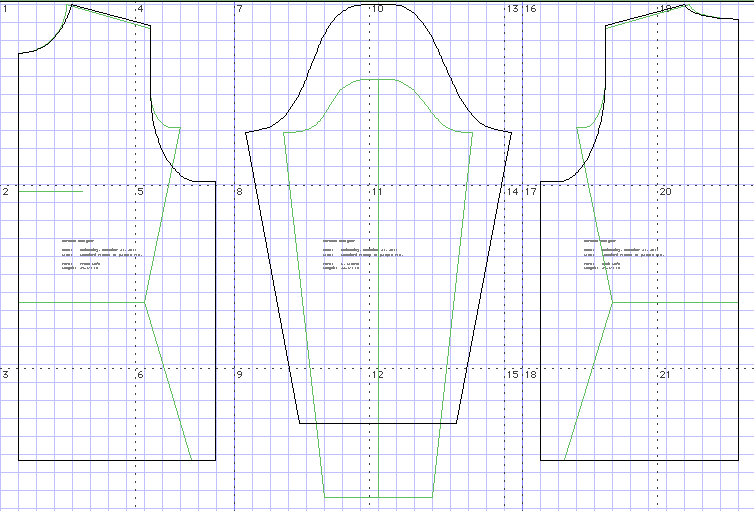 Print a full-scale, half-scale or quarter-scale pattern which may be used for sewing and for blocking knit pieces. 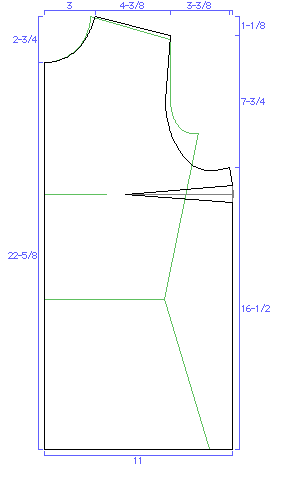 Print from a home printer or plotter.